From local talents to international DJs, the world’s highest theatre club, The Act Dubai, prepares for jam packed months ahead. 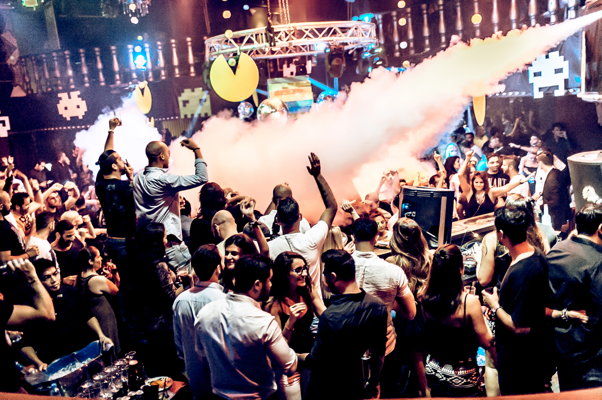 With hip-hop, house music, a sassy burlesque night and a new monthly Friday Brunch, there’s no that Dubai’s favourite nightclub keeps solidifying its reputation season after season and year after year. Please find below the upcoming nights and DJs with their relevant press packs. The world’s highest theatre club, The Act Dubai, prepares to transmit its vibrations into far off galaxies. Party goers will be abducted by International DJ, Beatport Music Awards nominee, and in-demand remixer, Olivier Giacomotto, for another round of INVASION. Kicking off on Friday July 29th, the city’s music lovers and electronic music enthusiasts will flock to see the internationally acclaimed DJ take over the decks. Olivier has headlined in some of the most famous venues around the world including Privilege and Bora Bora in Ibiza, Rex Club in Paris, Ministry of Sound in London, Pacha in Sao Paolo, Womb in Tokyo, Weekend in Berlin, Zona in Moscow and Sensation White in California amongst others. The Act Dubai is located in The Shangri La Hotel on Sheikh Zayed Road.